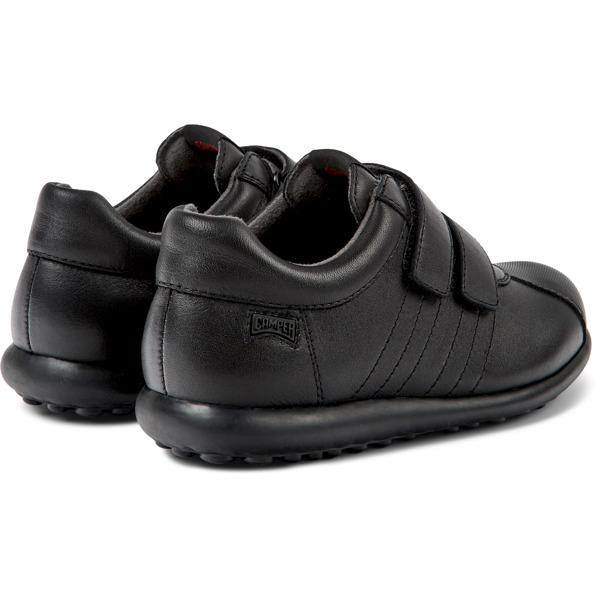 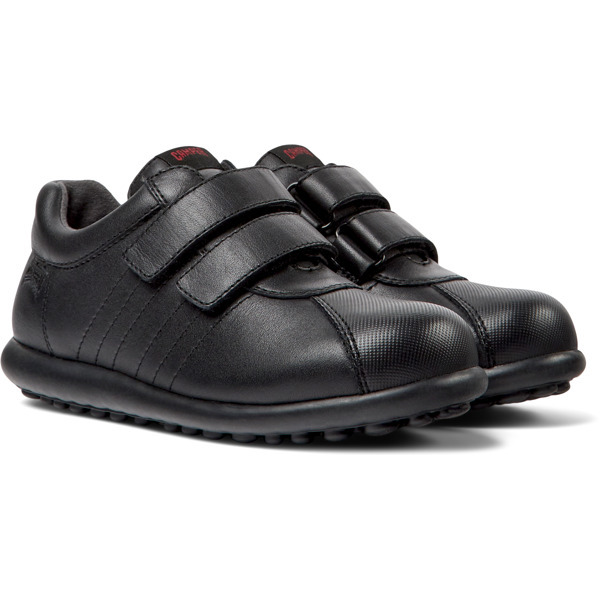 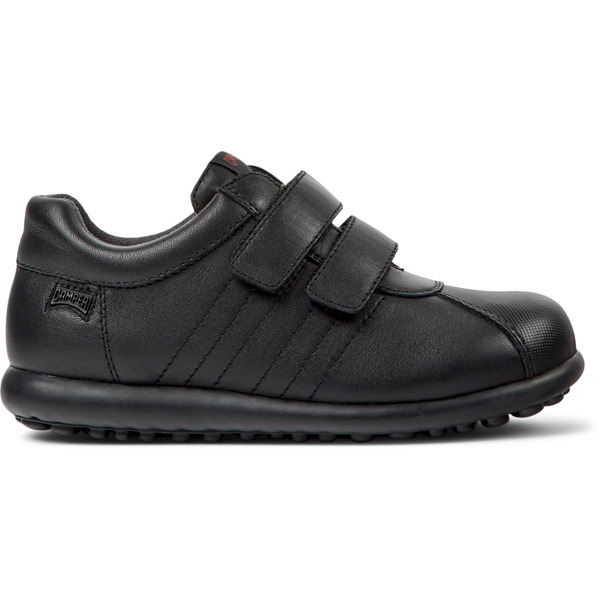 Our classic boys’ black leather sneakers are based on an iconic style we’ve been fine-tuning since 1995. 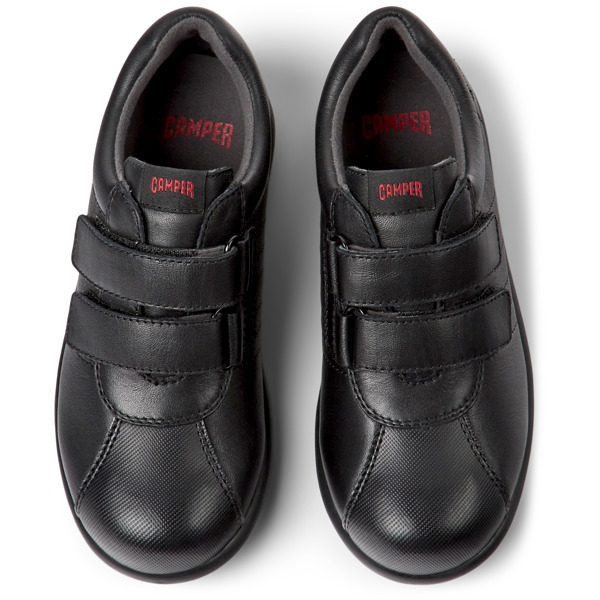 The signature design has smooth leather uppers that are 360° stitched for enhanced durability, and Velcro straps for an easy fit. 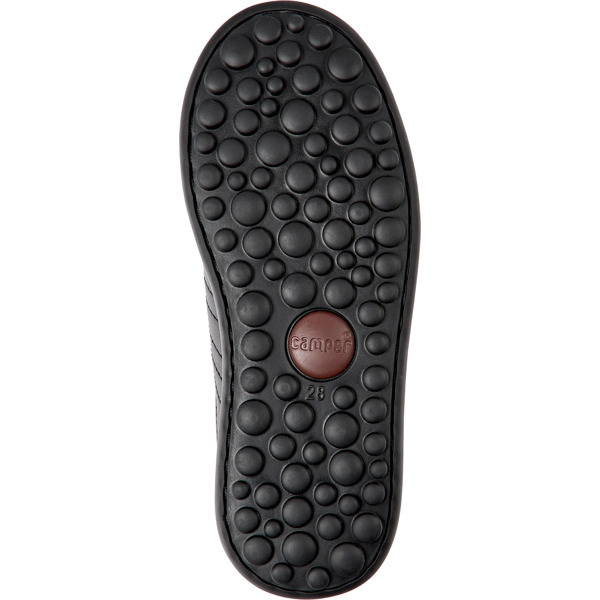 The non-slip rubber outsole features our iconic 87 ball design, and there’s a removable footbed inside to help cushion feet on the go.